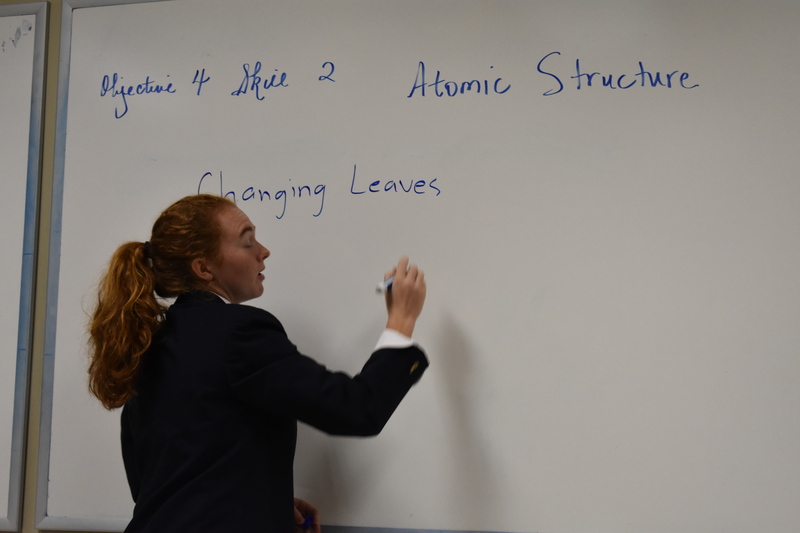 On Thursday, October 4, the first formal Science Honor Society meeting was held. There were many things discussed for this upcoming year, including:committees, themes, and donors for the blood drive NSHS sponsors every year. NSHS has partnered with the American Red Cross every year since it started to help get more blood donated for this area of Mississippi, and every year the Society gets more donors. They hold two blood drives, usually one in November and one in April, each with a different theme. The drive is held in the St. Patrick Cafeteria, and to help out, parents/students donate food, drinks, decorations, and entertainment for the donors. There are always more donations of blood needed, so please come out to the next blood drive and donate!